Talks are held in the FAAM auditorium on the last Thursday of each month (except August and December) at 19.30. The entry price is £7.00 (unless otherwise stated). Non members are welcome. The price includes light refreshments, including a glass of wine. These are very popular events and numbers are limited. Tickets are available online and from the Museum Ticket Box during normal Museum opening hours. Remaining tickets can be bought on the night as capacity allows. For any queries please contact the Museum Ticket Box on 01935 842617. Plus…Sale of Navy Wings Christmas cards etc. As we know, Frank Whittle created one of the world’s first jet engines in the 1930s despite being thwarted by the Air Ministry at every turn. At the same time, Germany was also developing jet power completely independently. Germans rightfully claim to have made the very first jet-powered flight, on 1 August 1939, in the Heinkel 178. The flight lasted just 10 minutes, limited by the very high fuel burn, but the aircraft was said to be capable of 435mph from its 1100lb thrust engine. The main difference between the British and German engines was that Frank Whittle used a centrifugal compressor, in which the air drawn in is accelerated outwards and then compressed in chambers to convert velocity into pressure. This made use of known supercharger technology and was consequently robust and reliable. It enabled Whittle to keep the main shaft as short as possible to avoid “whirling” and results in a squat and rotund profile. The downside was that the engine has limited efficiency and thus low development potential. By contrast the German jet engine used an axial flow compressor, in which the air flows in a straight line through its multiple pressure building stages, resulting in a reduced frontal area.The design is more complex to manufacture, while limitations in metal technology and wartime shortages of raw materials meant it was much less reliable and had a short in-service life. Although his engine was starting to show potential, Frank Whittle’s company, Power Jets Ltd, was badly treated by the Government and the design was eventually given to the motor car manufacturer Rover to develop further. Progress was very slow under this arrangement and in November 1942 Rolls Royce stepped in to take over jet engine development. In exchange Rover was given the business of manufacturing the RR Meteor tank engine (a de-rated Merlin). As the Whittle turbojet engine became a serious prospect, Gloster Aircraft was contracted by the Government to build two jet-powered aircraft to specification E28/39. The first of these, W4041G, flew successfully on 15 May 1941, powered by the W1 engine. It achieved 338mph, weighed 3,800lb and had a wingspan of 29ft. It was an effective technology demonstrator but lacked military capability. With the thrust currently available, Gloster concluded that a war-fighting aircraft would require two engines. That was how the Meteor (specification F. 9/40) was born. The engines were set at mid-length along the wing, giving gave easy access to them and allowing a short jet-pipe to minimise thrust losses. It also enabled the undercarriage to be set between the engines and fuselage. A serious shortcoming of this design is the limitation on directional control in the event of loss of one engine. The tailplane was set high to be out of the way of the jet efflux. The first flight was on 5 March 1943 (Serial No. DG206/G) and the Meteor commenced operations with 616 Squadron on 27 July 1944, armed with four 20mm cannon and not six as originally envisaged. The Germans had come to the same conclusion about power and introduced the twin-engined Me 262 jet fighter, which came into service around the same time. They never met in combat, but how did the Meteor compare with the Me 262? The Meteor weighed 13,795lb; the Me 262 was heavier at 15,720lb. The Meteor’s top speed was 420mph, whereas the swept-wing Me 262 was much faster at 559mph. Unlike the Meteor, the Me 262 required an engine change every 10-25 hours, whereas the life of the Meteor engine was closer to 180 hours. The first victory by a Meteor was the ‘downing’ of a V1 “doodlebug”, not by gun fire, but by wing tilting the V1 into the ground. Originally eight Meteor prototypes were built, mostly with a different pair of engines as insurance against any insurmountable difficulties with the Power Jet engines. These prototypes included: the Rolls Royce built Power Jets on aircraft No. DG205/G, the Rover built Power Jets on aircraft DG202/G which first flew on 24 July 1943 (after problems with turbine blades, resolved by RR). These engines had a thrust of 1,600lb. The next variant (DG206/G) used de Havilland Halford engines and was the first Meteor to fly, in March 1943. These DH Halford engines later became the DH Goblin engine used in the DH Vampire fighter (originally to be called the ‘Spidercrab’! ); another, DG204/G, which first flew on 13 November 1943, had the Metropolitan-Vickers F2 (Metrovick) axial flow engines, which were very slim, but unreliable and fragile (later it became the Metrovick Beryl engine, flown in the Saunders Roe SR.A/1 jet flying boat fighter, and ultimately the Sapphire engine). Next came the Rolls Royce Welland, which became the Britain’s first production jet engine, delivering 1,700lb thrust. The letter ‘G’ following the aircraft serial number denoted that the aircraft was to have an armed guard at all times while it was on the ground. Twenty of the RR Welland equipped F1 Meteors were built. This was soon followed on 11 September 1944 by the Meteor F3, now predominantly equipped with the more powerful RR Derwent engines of 2,000lb thrust. 210 Mk3s were built. The F3 also had a sliding canopy in place of the earlier, rather odd-looking ‘tilt’ canopy. Interconnection of all fuel tanks was introduced so that in an emergency all fuel could be directed to just one engine. Jet engines were always thirsty and Meteor pilots kept an eye on the fuel gauge constantly. To this end the 325 gallons of fuel in the fuselage were supplemented in due course by a ventral fuel tank holding a further 175 gallons. On the plus side, to the delight of pilots the Meteor had a trailing link undercarriage, which has a knuckle half way down each leg. This type of undercarriage is very forgiving and makes every landing look smooth – whether or not it is really. With the introduction to squadron service of the Meteor F4 in May 1945, the wings were shortened and ‘clipped’ to improve manoeuvrability. Immediately after the end of the war, Britain’s supremacy in jet propulsion was undisputed and a great deal of interest was being shown overseas. What better way to demonstrate than to beat the World Speed record? This was done on 7th November 1945 by Gp Capt Wilson at 606mph and then again a year later on 7 September 1946 by Gp Capt Donaldson at 616mph. In the meantime, Gloster, at its own expense, prepared a very striking, scarlet painted F4, civilian registered G-AIDC for demonstration purposes. 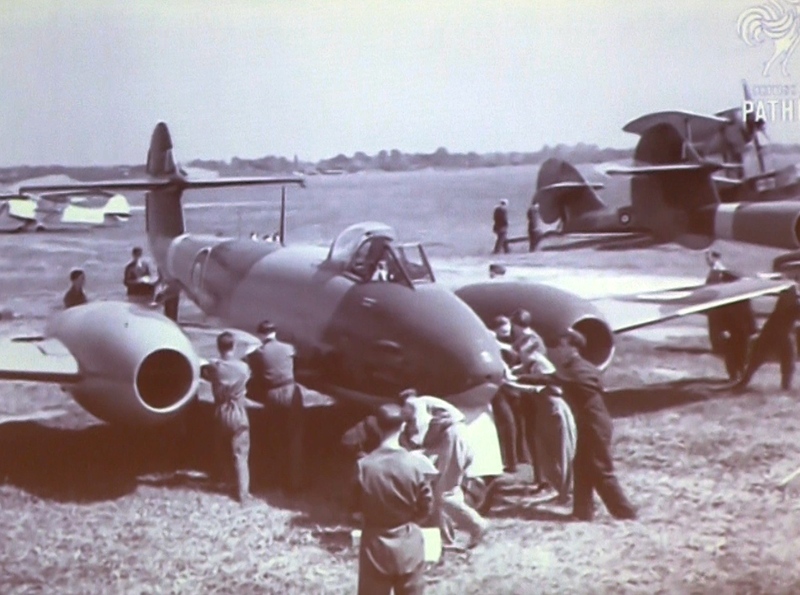 However, following an accident while landing with a Belgian pilot, Gloster decided that a Company pilot must always be present during demonstration flights. Consequently, G-AIDC was rebuilt as G-AKPK and flew in March 1948 as the first two-seat trainer called the T7, still in its brilliant scarlet colour scheme (I remember it well at Farnborough Airshows). It was fitted with RR Derwent engines, now with 3,500lb thrust. In total, 650 T7s were built and unsurprisingly there are records and photographs to show that it carried out aircraft deck landing trials. Rod Dean did mention that in his experience the rear pilot in T7 had a very poor view ahead and that the rudder pedal loads were huge when flying on one engine only. The next development was in October 1948 when the FMk8 was introduced. Up until now, all Meteors carried lead ballast in the nose to keep the centre of gravity within limits.To improve performance and to accommodate new equipment, the Mk8 had its nose lengthened by 30 inches, ammunition was moved forwards and a 50 gallon extra fuel tank fitted in the space created. Ballast was therefore no longer required – they said. Having burnt off the extra fuel and expended the ammunition, not surprisingly the pilot was left with quite different handling characteristics. Having settled on the Derwent range of engines, Gloster concentrated on developing the airframe for a very wide number of roles in addition to the standard F.Mk8 fighter, including the: FR.9 fighter reconnaissance (based on the F.Mk8); PR.10 photo reconnaissance; NF.11, NF.12, NF13 and NF.14 night fighter variants (developed by sister company Armstrong Whitworth); U.Mk15 and 16 unmanned target drones; and the TT20 target tugs, (one of which is held in the FAA Museum’s reserve collection in Cobham Hall). At this point Rod Dean made no secret of his aversion to being a target tug pilot. The target was towed on a 600ft cable at around 180kts, necessitating a steep climb out on take-off and nerves of steel when attacks were made on the target itself. There were several additional Marks of Meteor beyond those more commonly known. This was due to the robust design of the aircraft and a very long talk could be given on the subject of variants alone. Let me try and list a few: engine test-bed;; flight refueling trials with Lancaster, Lincoln and Canberra tankers; radar test-bed for numerous companies and establishments; ejection seat trials, which commenced with the first live ejection on 24 July 1946, following which Bernard Lynch made a further 15 ejections in all. Meteors are still in service today with Martin Baker who have enough spares to see them comfortably into the future). Other trials included weapons trials; prone-pilot trials, whereby an additional prone cockpit was added to the nose of a Meteor F.Mk8 (still to be seen at the museum at RAF Cosford) RR Trent turbo-prop test-bed, which were very successful and required the undercarriage height to be extended to give sufficient clearance for the propellers; Vertical take-off engine trials for the Shorts SC.1; The list goes on and on. Not surprisingly export orders rolled in and the Meteor saw service with at least 14 countries from Argentina alphabetically through to Syria. Although it served in Korea it was easily outclassed by the newer MiG and Sabre fighters. At present there are still five flying world-wide. Long may they continue to do so. Tons and tons of facts, but never a dull moment in the way that Rod Dean presented and illustrated them. A splendid evening. As we entered the auditorium this evening we were greeted by the sight of a very colourful parachute canopy draped and spread wide from ceiling to floor, plus an ejection seat and if that were not enough, a table full of rocket motors and other critical actuators necessary for ejection. No ambiguity about the subject then. It would be a folly for me to claim that Martin-Baker is a house-hold name, but there is no doubt that they are well established world-wide in their specialised business of saving lives through their aircraft ejection seats. 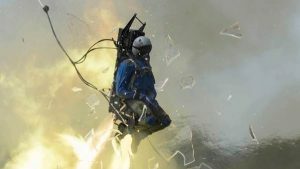 To put that into some sort of perspective, Martin-Baker is the 96th largest aerospace company in the world, they have supplied 85,000 ejection seats, 16,500 are still in service and 7,569 lives have been saved – including 10 so far this year, and finally they have a 53% share of the supply of ejection seats world-wide. The main factory is based at Denham, Bucks and flight tests are made from Chalgrove in Oxfordshire. There are sister factories in the USA and Australia, plus both French and Italian joint venture enterprises. Those are the key facts, now the story behind it. Our speaker, Philip Rowles, grew up alongside a neighbour who, Philip told us, had made the first ejection from a Harrier ‘jump-jet’. The Harrier had just completed a practice bombing exercise and was on finals to land, when the engine died at 100ft altitude. The pilot instantly pulled the eject handle and was shot to safety. Now that is the stuff to fire the imagination and ambition of a young chap and it was not wasted on Philip. Philip chose engineering as a career and when the opportunity came in due course to join Martin-Baker, his dream was coming true. Philip referred to them as Crew Escape Systems, with the intention of ejecting crew members well clear of the aircraft structure (tailplanes, engines and goodness knows what other appendages) and with inter-seat connections to stop crew members ejecting into each other, etc.. The more the talk progressed the more we realised the complexities and variabilities that have to be taken into account every time. Fascinating and without doubt ‘deep’ engineering is involved. Martin-Baker is still a family business and founder James Martin was born in 1893 to a farming family. Naturally, he was expected to take-over and run the family farm, but James enjoyed working on the farm equipment and soon became a self-taught engineer. Before long he had teamed up with Captain Valentine Baker to form the Martin Aircraft Works to build the M.B.1, based on Martin’s own design patents. That was in 1934. Several designs for fighter aircraft followed as private-ventures to meet Air Ministry specifications, but none were taken up and converted into contracts. If you scan reference books and the internet you will see that some of these designs looked very good indeed. The M-B 5 is a good example. It was designed to be easy to manufacture and to service and it also set the benchmark for cockpit layouts. Its performance was considered outstanding by test pilots, including Capt Eric ‘Winkle’ Brown. However, whatever skills James Martin developed as an outstanding engineer fell short perhaps in terms of diplomacy. He had a tendency to upset politicians (I know the feeling) and that is not a winning way. Sadly, Valentine Baker died in 1942 during a test flight of the predecessor M-B 3 aircraft. Nonetheless, the Company won contracts to manufacture aircraft components during WW2, such as machine-gun feed belts, balloon cable cutters for bombers and a successful canopy jettison system for the Spitfire, because it had previously been a real problem. In 1944 Martin-Baker was approached by the Ministry of Aircraft Production to investigate systems to enable pilots to bail out of high speed aircraft and Philip showed us a splendid piece of film. I believe it was taken at Farnborough and showed a Spitfire fuselage mounted on the ground in front of which was a huge wind-tunnel type propeller. Behind the Spitfire was a large wide-spread net. A ‘pilot’ entered the cockpit, the wind generator propeller started and gradually built up speed while the ‘pilot’ attempted to climb out. It was soon clear that above speeds of 150mph this was more and more difficult to achieve successfully. As you will have surmised, when the pilot did successfully bail-out in the these trials, he ended up in the net. With the dawning of the jet-age the need for more a effective escape system was unavoidable. 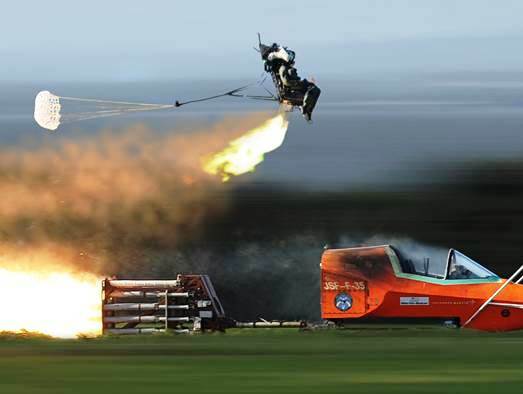 Martin-Baker did not invent ejection seats. Both Germany and Sweden had already fitted aircraft with them during WW2 (both had aircraft with pusher propellers), but in general they used compressed air to launch the seat. Philip then showed us another B/W film sequence from October 1944 in which a modified Bouton Paul Defiant demonstrated a swing-arm catapult ejection system. In the very early days having ejected from the aircraft, the crew member was required to separate himself from the seat manually. If you were incapacitated in any way, that was not an easy task and your problems were far from over. The first emergency use of a Martin-Baker ejection seat occurred on 30 May 1949, when Test Pilot “Jo’ Lancaster encountered severe pitch oscillations at 320mph in the Armstrong Whitworth AW52 (Flying Wing). He decided to eject fearing imminent disintegration. Everything happened as briefed and ‘Jo’ was lifted clear of the aircraft to land safely, unharmed to fly another day. In those days, it took a good many rather long seconds before you were actually suspended beneath the parachute. Seat ejection was gun-driven using gas in the early days. By the mid 1960s, the Mk7 seat was introduced and was the first to use an under-seat rocket which extended the lift of the seat and gave a zero/zero performance (zero altitude/zero speed at ground level). To date these seats have saved 2,430 lives and are still in service in countries such as Greece, Germany, Egypt, USA, Turkey and Japan. The next significant step was the Mk10 seat which enabled ejection at 600kt speeds and necessarily restrained limbs to stop them flailing around. It was also configured to suit a large number of aircraft installations without adversely affecting the design and operation of the seat. 860 lives have been saved by this seat, which is in operation with a vast number of countries. The US Navy has long been a Martin-Baker customer and 1985 it contracted Martin-Baker to develop the NACES (Navy Aircrew Common Ejection Seat) for the F-14, F-18 and the T-45 Goshawk. 2,400 seats have been delivered to date. Also known as the Mk14, this seat provides high performance and high-technology to, for example, clear crew members when crashing on take-off in front of an aircraft carrier. It is also the first seat to be comprehensively electronically controlled, whereas predecessors were mechanical. It is in use by several countries and has saved 130 lives to date. The latest and greatest seat is the Mk16, or US16, as fitted to the F-35 Lightning, Typhoon, T-6 Texan, T-38, etc.. Clever and capable as the previous seats have been, this seat represents a marked step in technology to meet very high set parameters. It uses a twin-ejector gun propulsion system as a part of the seat structure and is entirely self-contained, requiring no power from the aircraft. It has its own batteries and a large back-up supply of oxygen. It takes less than 20 milliseconds for the computers to fire-up (as on all Martin-Baker seats) and the seat rockets give 4,000lb of thrust in 3.5 seconds – whoosh, off you go! It has a single parachute harness as a part of the seat and now has only one pull-handle to initiate ejection, whereas previously seats also had an overhead handle. To make it all happen so quickly, a great many pyrotechnics are used and redundancy and duplication abound to make it all as fail-safe as possible. All Martin-Baker seats are capable of operating underwater and carry enough on-board oxygen to keep you breathing while a ship passes overhead. This seat has already saved lives. In one instance a test pilot was carrying out engine re-start tests at 42,000ft, which for one reason or another completely drained the aircraft batteries leaving the pilot totally ‘powerless’. He ejected and then had to wait 2.5 minutes until the descending seat allowed him to separate from it safely at 16,000ft. Each contract to supply ejection seats has to be won against stiff competition from international suppliers. After their own Martin-Baker seats, Philip opined that Russian-made seats took second place, ahead the USA and other alternatives. The number of parameters to be taken into account during an ejection is almost endless. The obvious ones are speed, altitude, attitude and terrain. However, with the Mk16 seat, for example, it has to be a standard fit in several, very varied aircraft sizes, shapes and capabilities – one-size fits all. Crew members being ejected are are all dressed in appropriate survival gear and might be as big as hulking great rugby players, or by contrast, very petite females. Big differences. Similarly, Helmet Mounted Displays add inertial and aerodynamic loads that could inflict significant neck injuries. There are plenty more parameters, on top of which the crew member might be injured or infirm for other reasons. Finally, we are not dealing with sacks of coal, but human frames, which do have physiological limits. The seats have to take all of this into account with the objective of presenting you completely unharmed in a place of safety. In fact, progress now has reached the point where the F35B has an auto-eject capability. Events happen so fast that reactions must keep in step. Long gone are the days when Bernard Lynch made 40 experimental ejections and ‘Doddy’ Hay actually volunteered to join the team in the ‘hot’ seat. Now very advanced instrumented manikin dummies perform the role on very high speed ground sleds and in the air. Having said that, Martin-Baker still prefers their two 50+ year old Meteor aircraft for air testing. Why? Because they are very reliable, stable, less affected by bird strikes and the engines are set well away from the fuselage, so that they are not affected by the ejection blast of the seats – Martin-Baker also has oodles of spares to keep them in the air. I can well understand what drew Philip Rowles to Martin-Baker. It is an endless challenge and successful results are very visible and gratifying. An excellent, fast paced evening, thank you. The very mention of the name de Havilland Canada conjures up several really interesting and enduringly successful designs that have each made their mark worldwide: Chipmunk (or Chipfire as some have called it due to its manoeuvrability), Beaver, Otter, Twotter (Twin Otter), DH6, DH7, Buffalo and of course, the subject of tonight’s talk the Caribou. It is not a pretty aircraft and I suspect the Caribou is something of a Marmite design – you either love it or you don’t. For me, and no doubt the 70+ people that attend these evenings, the talks are always extremely entertaining, but the prospect of hearing about the Caribou was unmissable – yes, I like the Caribou. It is certainly not handsome, but it looks absolutely right for what it did so well. 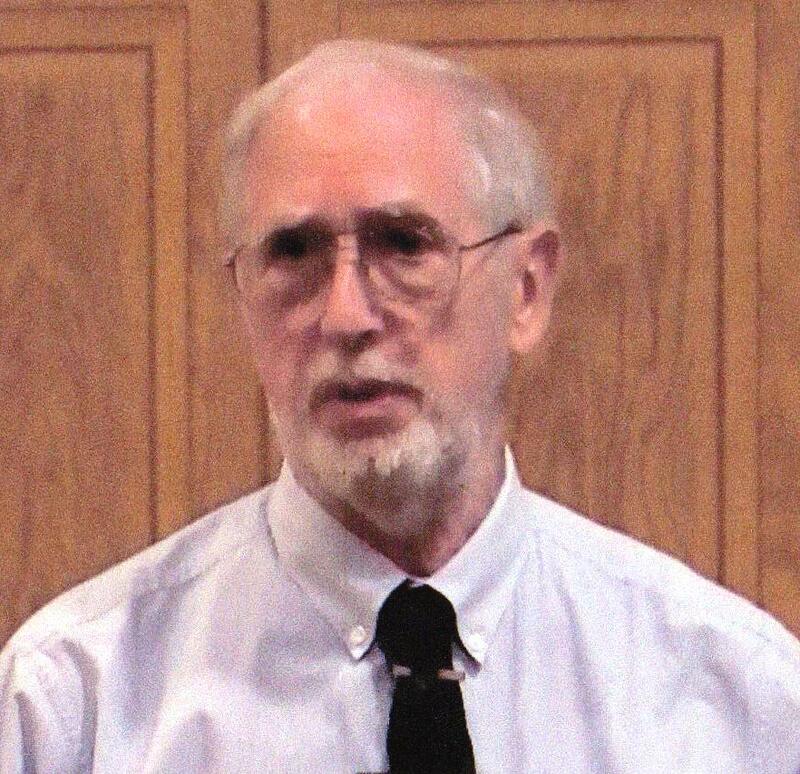 Our speaker Jack Froelich knew the aircraft first-hand as a pilot in the US Air Force. His job was to support the US Army in North Vietnam. Originally, the Caribou was operated by the US Army, but in 1967, Jack tells us, they were forbidden to fly any aircraft weighing over 12,500lb, so the Caribous and any other large aircraft were transferred to the USAF. The USAF meanwhile had to hand over its helicopters to the US Army in exchange. So, what was the Caribou and what made it different? It was designed for Short Take-off and Landing (STOL) operations; it could carry up to 3 tons payload; it weighed 13 tons; in American operations it had a crew of two pilots and one Loadmaster. It was designed to operate from rough landing strips inaccessible to most other aircraft; it had a large ramp at the back to enable rapid loading and unloading of troops and cargo; and it needed around 1,000ft in which to take off. A typical cargo could be 32 Infantrymen, or 14 stretcher litters, plus 10 seats, or as frequently happened, animal transport! The DHC4, as it was first known, flew in 1958 and was the third STOL aircraft by DHC, preceded by the Beaver and the Otter. To achieve its very impressive performance, it was powered by two Pratt & Whitney Twin Wasp R-2000 7M2 radial engines producing 1450hp each from the 14 cylinders. The same engine had proven its reliability in the Douglas DC4 and Skymaster. What was different in this instance was that the engine cowlings had no cooling gills and the Hamilton Standard propellers were fully reversible. The engines also had two augmenter tubes extending backwards over the wing, which in theory helped to boost performance. However what did work was the flow of air blown over the flaps. The flaps were full-span, double slot (in effect two flaps – one hinged behind the other) Fowler flaps with an 80 degree droop. In addition, when the flaps were operated, the ailerons also drooped. All this, with the augmented air being blown over the wing meant that very high lift was achieved, enabling a typical approach speed of 60kts and touch down at 35/40kts. That is the equivalent of a typical small, light aircraft, rather than a 13 ton cargo carrier. Not only that, but it was a joy to fly, although it had to be flown 100% of the time – no casual hands-off flying while you fidgeted with the chart. In its original form the DHC4 was designed for single pilot operation, but that was not the American way of doing things, so two pilots it was. The payload was less than that of a DC3, but the great benefit in many forward bases was its STOL performance. The fin and rudder are absolutely huge and they earned their keep on operations from small dirt airfields requiring a steep climb out. According to the operator’s handbook the minimum speed in these circumstances should be 80kts. However, it was soon discovered that on short fields just 75kts was feasible by holding the aircraft straight and steady using the enormous rudder until proper flying speed could be gained. Niceties are set aside when people are firing live bullets at you from just over the hedge. Small arms fire was effective up to about 3,000ft. To minimise the risk of small arms damage, crews either flew high, or as Jack preferred, very low. On these operations it was essential to ensure that at least 1,500lb of fuel was carried in the wing tanks to maintain their stiffness. Internally, the floor was made of plywood and could carry standard 4ft x 4ft pallets. Seats were built into each side of the aircraft facing each other, or two Jeeps could be carried instead. For comparison, it could carry more than a Chinook helicopter. The pilots’ cabin stood 3 to 4ft higher than the cargo deck. The instrument panel was quite basic and was designed for daytime, visual operations, where you check landmarks against a chart. It was not designed for night flying and instrument flying, but simple bush-flying. If you had the misfortune to fly through rain you got wet, because the Caribou leaked like a sieve. It was also very, very noisy. One luxury that USAF Caribous had that Royal Australian Airforce Caribous did not have, was weather radar. This enabled pilots to take some of the guess-work out of navigating by heading for the coast and following its contours and spotting rivers on the radar as they progressed. The aircraft itself was reliable and so were the engines, which was fortunate, because all maintenance was conducted outside in sweltering heat and tropical storms. Engine access was helped greatly by the barn-door type engine cowlings. At the end of the Vietnam War around 50% of the Caribous went back to the USA and were used by the Reserve, while Australia kept theirs in ront line service until the 1990s and retired the last one in 2009. 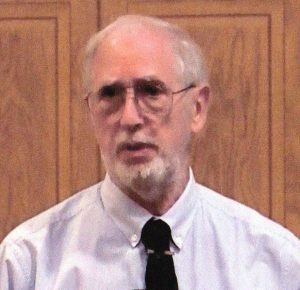 Operations were typically to move both military and civilian passengers (Jack openly acknowledged that they hadn’t a clue who most of the civilians were, because their travel passes were printed in Vietnamese and they could easily have been North Vietnamese soldiers going home on leave for all he knew). In addition they moved many cows. Most of these were dropped by keeping the aircraft at a steady 110kts at 300ft and then sliding out the crates containing the cows, to float down on two cargo parachutes to a soft landing. In all the time he was in Vietnam, Jack knew of only one cow to receive any form of injury, and that was a broken leg. As a change from dropping cows, they also dropped chickens in crates. The idea behind all this was keep the mountain tribesmen (Montagnards) on the side of the USA. The tribesmen were nomadic, but the intention was that by dropping cows to them, they would stay in one place to breed them and in due course the tribesmen could be trained as soldiers. That was the theory. The reality was that the cows and the chickens very quickly became the meal for the day. An expert also proposed that it was essential to drop trained German shepherd dogs, which the tribesmen were delighted to receive as a change in diet. The Caribou often supported Special Forces into and out of forward bases, as well as such mundane, but important tasks as returning for reuse all the Chinook underslung cargo nets and slings deposited in the remote drop-off points. Finally, Caibous were used to provide occasional support for Air America’, the quasi civilian airline that conducted covert military operations in areas that the authorities preferred to not talk about. Home base for Jack Froelich was Cam Ranh Bay. From there they would fly to places such as Dak Pek where special training was required before any pilot was allowed to attempt a landing. It was very tricky and touchdown had to be made in the first 10 ft of the runway to successfully get in. One thing it did demonstrate was the crashworthiness of the Caribou. It was a tough aircraft and of the relatively few that crashed, most occupants survived. Plei Me airfield was a Special Forces base frequently attacked by the North Vietnamese. The runway was only 1,100ft long which made full use of the STOL features and full reverse thrust; Lei Khe airfield near Saigon was surrounded by a Michelin rubber plantation still in full operation. The plant manager operated a Cessna 190 to enable him to do his job properly and to take the family shopping in Saigon. The fact that he was in the middle of a war zone appeared to be no problem to him; Man Buc airfield in the Central Highlands required nerves of steel and determination ‘to get it right’. The runway was surrounded by hills and the approach to land required a climb all the way up. At the last minute, at a set point a 90 degree turn was required before you dropped the aircraft onto the runway. By way of compensation, one of the bases had a Michelin Star chef and any run into that base was always welcomed. Jack made comparisons with other similar aircraft, such as the C123 (Fairchild Provider) and DC3, both of which were much in use. In each case these aircraft could carry more cargo, but required long runways to operate. They could not do what the Caribou did so well on small, inhospitable airfields. I was interested to learn that South Korean troops were also involved in the Vietnam war, primarily to provide base security. From Jack’s experience, they were very hard people and genuinely took no prisoners. This was a very interesting, very lively and different talk about an unusual aircraft. I loved it. Thank you Jack Froelich for a most enjoyable and informative evening – and thank you to the backroom ‘boys’ of course for freshening us up halfway through.